Flexible plumbing systems produced from Polybutene-1 fulfil the stringent demands of mechanical performance and water quality requirements specified by national, European and international standards for use with potable water. This, combined with its inherent flexibility and thermoplastic properties, make Polybutene-1 an extremely versatile material for plumbing systems that offers significant benefits versus traditional rigid pipes and fittings. The last decade has seen a rapid increase in the use of flexible plumbing systems as the accepted alternative to traditional rigid pipes. Introduced over 40 years ago, flexible plumbing systems were initially specified as niche products, for example, where installation access was difficult or where easy to handle pre-fabricated sections were required due to limited installation time in projects such as cruise ships. Today, those advantages and many others, including long service life and low maintenance have made flexible plumbing systems the mainstream selection for new homes, buildings and major infrastructure projects throughout Europe and Asia. As a raw material, Polybutene-1 has a balance of performance properties ideally suited for the manufacture, installation, and long service life of hot and cold water pressure piping systems. Pipes produced from Polybutene-1 fulfil the stringent demands of mechanical performance and water quality requirements specified by national, European and international standards for use with potable water. This, combined with its inherent flexibility and thermoplastic properties, make Polybutene-1 an extremely versatile material for plumbing systems that offers significant benefits versus traditional rigid pipes and fittings. Polybutene-1 piping systems are now available in diameters from 10 to 225 mm, providing alternatives for a broad range of installation requirements. Whether used for small renovations, plumbing for residential housing, or a large hotel or office complexes, PB-1 piping systems provide a broad array of comprehensive systems for specifiers and installers. Polybutene-1 based systems were pioneered by Hepworth Building Products, which remains a market leader. In recent years, a number of respected major manufacturers have also entered the market with flexible ranges providing considerable choice to markets in Europe, the Middle East and Asia-Pacific. 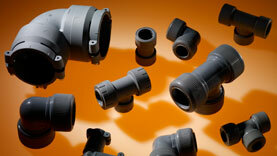 This has helped to spur the usage of Polybutene-1 product systems in piping installations worldwide. The inherent flexibility of coiled PB-1 piping, allows an efficient plumbing installation process – similar to electrical wiring. Due to the fact that PB-1 piping is light weight and supplied in coils, it is particularly easy for installers to handle on site. Manufacturers have also introduced packaging that allows pipe to be progressively dispensed to the project at hand from the pack; allowing easy storage or transport to the next task. The availability of long pipe lengths means that the number of joints in a given system are significantly reduced, delivering benefits in installation time and system reliability. This feature, coupled with the inherent flexibility of PB-1 pipe, allows plumbing to be installed through a building structure or site in much the same way as electrical wiring. Pipes can also be readily routed through or encapsulated in building elements such as walls, ceilings or floors . This latest generation approach to plumbing systems has created a major change in the way projects are now estimated and delivered with benefits flowing to all sectors of the construction process through to end-users. For example: many new homes are now built using silent floor joists or 'I' beams. These cannot be notched in the same way as traditional timber joists, therefore services such as plumbing must be fed through drilled holes along a defined centre line. Using a flexible pipe system makes this technique easier to achieve and flexible pipe can be fed out of coiled packaging onsite and pipes can readily be cut to length in situ, helping to minimise waste. There are also safety benefits due to PB-1 jointing systems not requiring heat or flame – hence no fire risk. This is a particular advantage where space is restricted or the surrounding environment is potentially flammable. Polybutene-1 piping systems have lower thermal diffusivity than copper pipes and this means water takes longer to freeze in them during inclement weather. If water does freeze, the pipe expands to take account of the added volume, returning to its normal dimensions when the thaw arrives. Case study example below: Säntis 2000 – Switzerland. The same characteristic that slows the speed at which water can freeze within Polybutene-1 pipes also results in them remaining cool to the touch, even when high temperature water is running through them. This can be an added benefit particularly where children or the elderly and infirm are among a building's occupants. In addition to lower thermal diffusivity vs. metal, PB-1 plumbing systems will not scale-up in hard water areas or corrode in soft water areas. They absorb and suppress sound, rather than transmitting it. They are not subject to 'water hammer' which can otherwise be a problem, particularly in areas noted for high water delivery pressures. Due to the reduced requirement for fittings due to the flexibility and length of PB-1 piping, installations plumbed using flexible systems are highly cost-effective. In terms of system performance, flexible ranges offer excellent longevity, making them a good long-term investment. 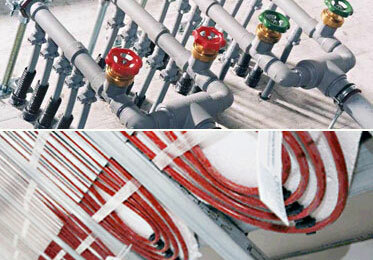 Flexible plumbing systems are increasingly the technology of choice for hot and cold water services, central and underfloor heating and cooling installations in domestic, commercial and industrial environments because of their convenience, performance and durability. The evolution of the PB-1 plumbing systems continues at a rapid pace as manufacturers extend and modify systems in response to rapidly changing building requirements and codes. They are extensively specified for residential, commercial and industrial environments because of their convenience, performance and durability..
Polybutene-1 is regarded as an optimum material for drinking water plumbing & piping systems. To satisfy the highest quality requirements drinking water piping systems, specifiers must consider the most challenging in-use scenarios to ensure the delivery of best quality drinking water. The decision also needs to factor in-depth comparisons across plastics categories as well as future perspectives in installation and joint techniques. 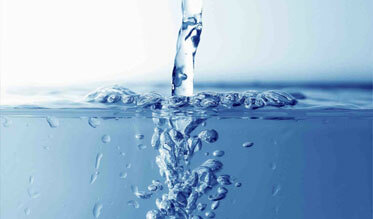 Taken overall, Polybutene-1 is regarded as an optimum raw material for drinking water systems due to the fact that PB-1 is a partially crystalline polyolefin thermoplastic with a high long-term performance and a high resistance to flow at high temperatures – properties that are essential for interior hot and cold water installations as well as for heating. Resistance to hot water up to 95°C. As a consequence of its high resistance to high temperatures compared to other plastics, PB-1 allows lower wall thicknesses for identical usage profiles which, in addition, is converted into larger internal transport diameters for the same external diameter, lower velocities for the same flow, lower head losses and a lower pipe weight per metre.